I’m doing this walk to raise money for the Dogs Trust’s Hope Project – a scheme that helps dogs whose owners are homeless or experiencing a housing crisis. I’d love it if you’d sponsor me! 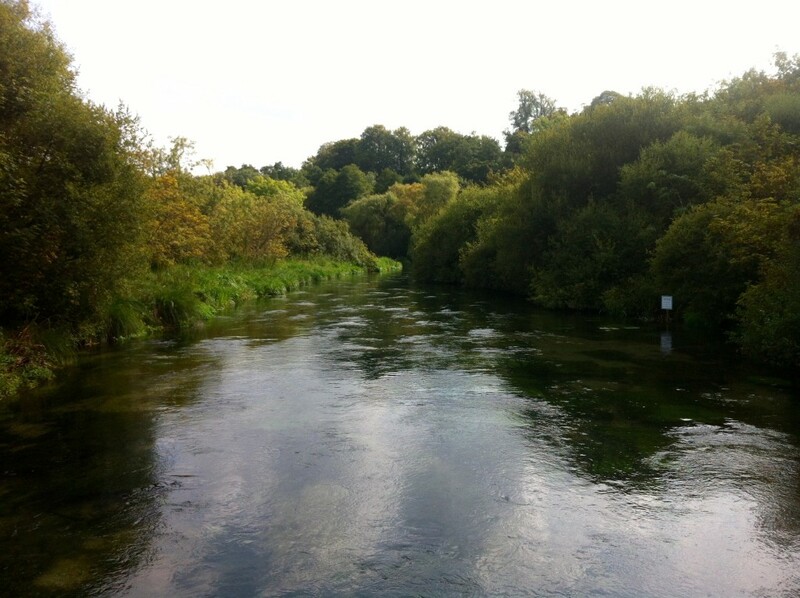 A couple of weeks ago I stumbled on the springs of the River Itchen. 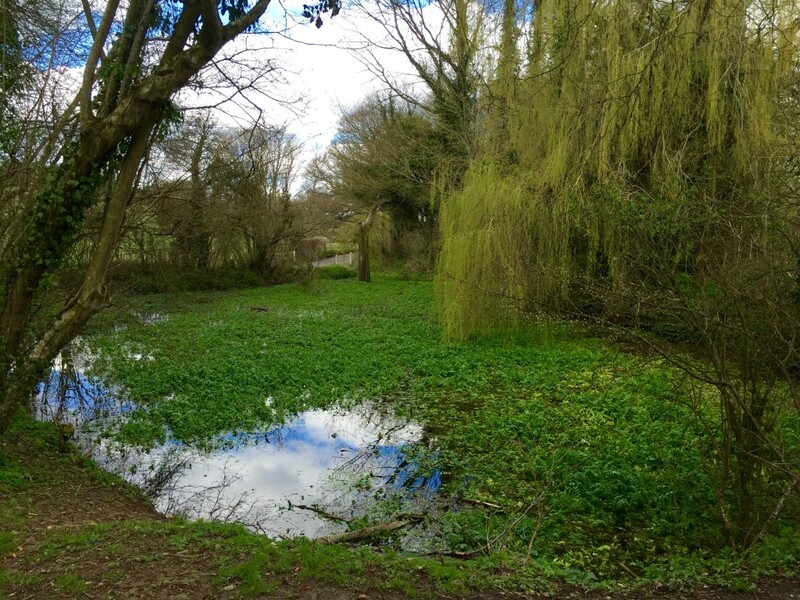 For thousands of years, this has been the start of the river, which runs from Cheriton near Alresford to Southampton Water. It’s hard to fathom how this shallow pool, full of lilies and shaded by weeping willows, can grow to the tidal estuary it becomes 30 miles downstream. 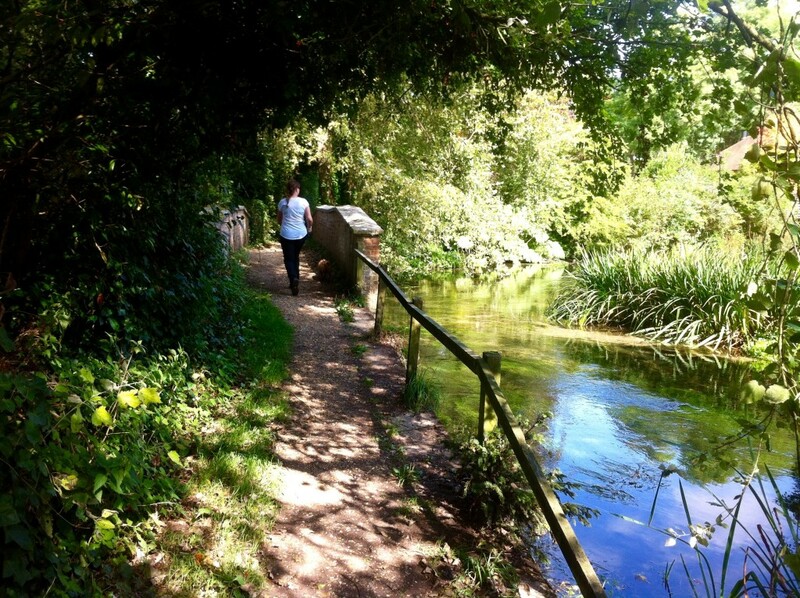 I’ve always fancied walking the length of the Itchen using the Itchen Way – a footpath that follows the route of the river. In 2014, Tiff and I decided to walk it over two days. Unfortunately our plan was scuppered because a big chunk of the footpath was closed north of Southampton. However, we still managed to walk along the river from Winchester to Cheriton after walking cross-country to Winchester the previous day. That was a proper slog. I remember struggling on the final few miles. Although that may have been down to not drinking enough water and a the lure of a pint of beer at The Bush Inn. I’m not sure then why I’ve decided to take on the whole length of the river over a day this summer. My plan is to do my “Itchen Challenge” on Thursday 23 June leaving Cheriton Sholing station in Southampton around 8am. I’d have preferred to start in Southampton. But someone recently reminded me that this would involve walking uphill, if only slightly – the source of the Itchen is around 80m above sea-level. Update 31 May 2016: I’ve now decided to start the walk in Southampton rather than Cheriton. Currently I can just about walk 15 miles in one go. And I’ve just run the Southampton Half-Marathon for the second-year running. Hopefully, I can build on this. I know though that walking 30 miles in a day will be a massive challenge for me. I’ve only got eight weeks to train until the big day. My simple training plan is running to work a couple of times a week while taking a long walk every weekend. If I can up my mileage to around 25 miles a couple of weeks beforehand, I’ll be confident that I can complete it. The training walks will also give my Border Terrier Tilly the chance to prove her fitness. She’s now getting on a bit (she’s 10 years’ old in October). But I’d love for her to accompany me on the walk if she’s up to it. I’m sure she’ll enjoy chasing the ducks, squirrels and other wildlife that I’ll come across, too. As well as challenging myself, I’d also like to raise a bit of cash for charity. I haven’t decided which yet. 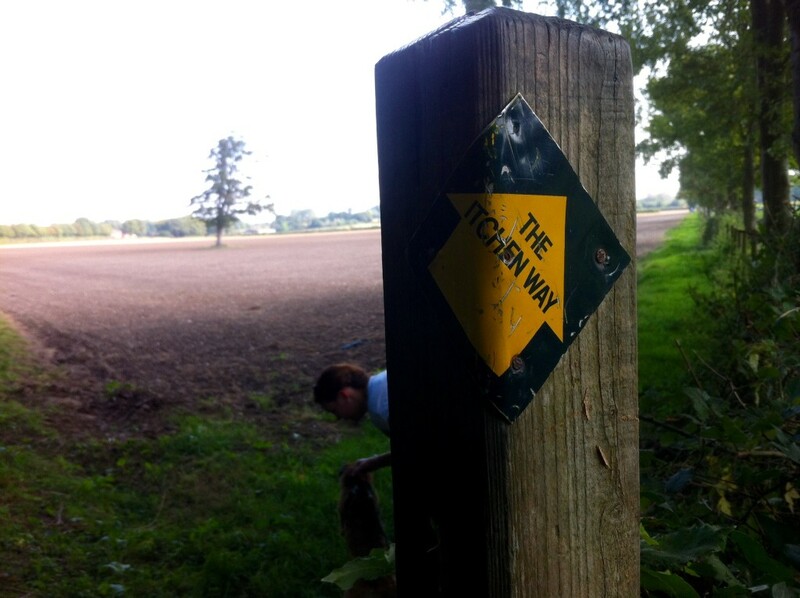 I either want to support a Hampshire charity (seeing as the walk will cut right through the heart of the county) or an organisation that helps others – such as children, older and disabled people – gain access the countryside. Update 31 May 2016: I’ve decided to raise money for the Dogs Trust’s Hope Project. This is a charity scheme that helps dogs whose owners are homeless or experiencing a housing crisis. It provides veterinary care and helps owners find dog-friendly accommodation. You can sponsor me via my JustGiving page. The route that the Itchen takes from source to sea is mostly stunning. First it goes north through Cheriton to the watercress beds on the outskirts of Alresford. It then heads west through the villages of Ovington, Itchen Abbas and Easton. After it passes under the M3 it goes south into Winchester, where it breaks into several channels that run through different parts of the city. The Itchen Way then follows the route of the Itchen Navigation. 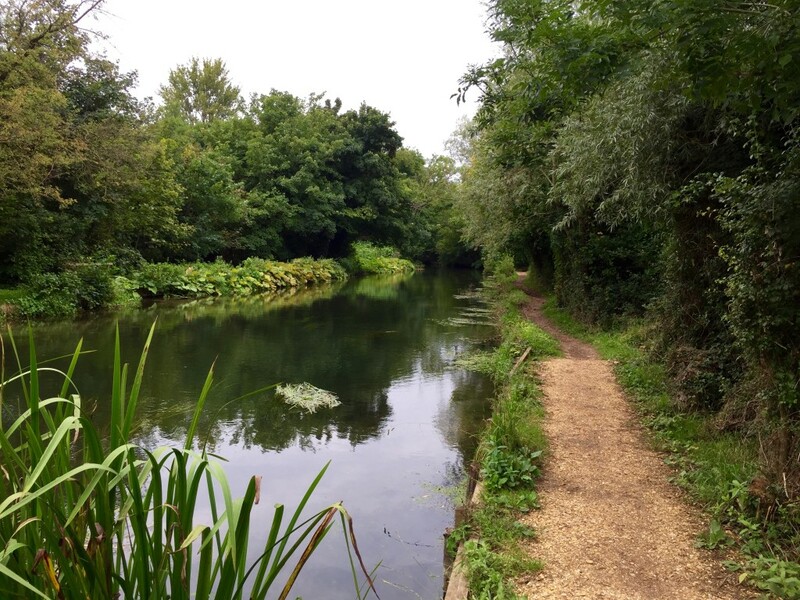 This former canal was built in the 18th century to transport farming produce and coal between Winchester and Southampton. It passes through Twyford Meads to Shawford and then onto Bishopstoke near Eastleigh. Before this, there’s a garden centre at Brambridge where I’m hoping I’ll be able to refuel for the second leg. The path then skirts Itchen Valley Country Park before joining the main river again at Mansbridge in the north of Southampton. From there, it winds through Riverside Park, becoming tidal at Woodmill Lock. The final few miles goes through the residential areas of Bitterne Park and Woolston and under the Itchen Bridge. The jetty at Weston Point marks the end of the walk (although the Itchen Way itself randomly finishes inland at Sholing station). I did my first training walk yesterday. We were visiting friends in Bath, so Tilly and I walked the last leg of the trip up along the River Frome and the Kennet and Avon Canal (around 13 miles). Apart from upsetting some people for suggesting that the new path along the canal wasn’t very attractive, it was a good start. I definitely need to get a lot more miles under my belt between now and 23 June though. I’ll be using the #ItchenChallenge hashtag to track my progress. Have you got any tips or would you like to suggest a charity I should support? Get in touch if you do. You can leave a comment below, tweet me or email me at tshallett [at] gmail.com. Good little post. Sounds like a great walk. Enjoy it!